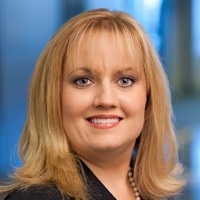 Deana Arnett joined Rosenthal Wealth Management Group in 2004, as a Financial Planning Consultant. The firm’s philosophy that everyone deserves proper financial planning, no matter their amount of assets, made Rosenthal Wealth Management Group the perfect fit for Deana. She focuses her work on retirees and federal employees, as well as female investors. Her passion lies in helping women—professionals, divorcees or widows—navigate the financial planning process. Deana’s insight on investment and financial planning strategies is sought out by media outlets across the nation. Her commentary has appeared in a number of leading print and online publications, including Forbes, Better Homes & Gardens, LearnVest.com, SmartMoney.com, FoxBusiness.com and Bankrate.com. She is also called on by local public and private organizations as a guest lecturer, lending her in depth knowledge on financial and retirement issues. Deana has over 20 years of industry experience, beginning her career at American Express Financial Advisors in 1998, then joining Morgan Stanley in 2002. She earned her CERTIFIED FINANCIAL PLANNER™ certification at Georgetown University—completing this education while balancing a full-time career and family—and has also earned the Chartered Retirement Planning Counselor ℠ designation. A Tennessee native, Deana and her family call Northern Virginia their home. In her spare time, she enjoys spending time with her family, photography, singing and traveling.